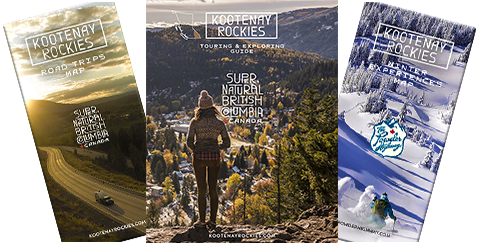 Kootenay Backcountry Guides offer guided adventures on epic powder-filled days. Guides are fully-trained A.C.M.G. Guides and Canadian Avalanche Professionals. You'll experience the perfect mountain day. Unparalleled access, epic lines, abundant snowfall. Whitewater Ski Resort is world-renowned for its epic terrain and fresh snow. This trip takes you into Whitewater's backcountry where you'll discover terrain that exceeds the resort's size and terrain. Nestled between Salmo and Creston lies a backcountry skier's paradise. Highway 3A takes you to 1,785 metres and drops you off on the doorstep of some of the most varied and fun backcountry lines found anywhere. You suggest it and they plan it. Whether it is a helicopter drop to a remote location, snowmobile access to hidden gems or a trip to one of Western Canada's best backcountry lodges. Make your wildest powder dreams a reality. Kootenay Backcountry Guides also offer the Avalanche Skills Training Level I Course.